Who isn’t potty for their pets? Indulge them and their furry friends! 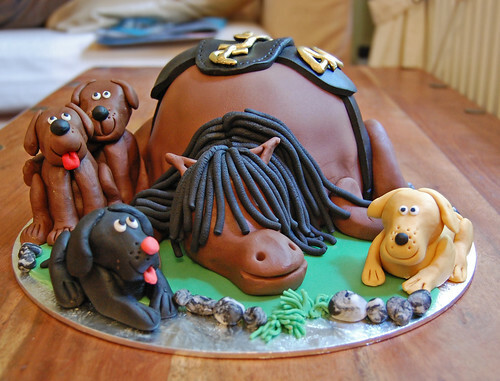 The pony cake – from £80. Thanks for making this great cake, everyone who saw it thought it was hilarious. Maybe next year you could add the rabbit and chickens….. only joking! Thank you for this fantastic cake, girlfriend absolutely loved it, It tasted even better than it looked!! Dont really have the heart to eat the Labradors so I think were going to keep them..